Functional pasta is a normal pasta product which provides additional benefits. Pasta products with enhanced nutritive value like high protein content or functional value like high dietary fiber content were developed from cassava and sweet potato. These products are characterized by good textural quality and low starch digestibility which make them ideal as food for diabetic and obese people. Defatted soy flour enriched pasta – Rich in isoflavones which protects against hormone-related disorders such as breast cancer and prostate cancers. Orange fleshed sweet potato pasta •	High carotene retention – anti-oxidant properties •	High protein content •	Excellent cooking and textural properties. •	Low glycemic index: Progressive starch digestibility over a period of 2hours. Enriched cassava pasta •	Carotene enriched cassava pasta - anti-oxidant properties •	Curcumin enriched cassava pasta - anti-inflammatory effects and antioxidant. •	Chlorophyll enriched cassava pasta - wound healing, hormonal balance, deodorizing and detoxification of the body and promotes digestive health. •	Betanin enriched cassava pasta - anti-oxidant properties. Cassava Pakkavada: This is a hot snack food having good texture and taste made out of cassava flour. The other ingredients include maida, bengal gram flour, salt, chilli powder, asafoetida, baking soda and oil. The ingredients are thoroughly mixed and made into dough with hot water (50°C), proofed for 1h and then extruded through hand extruder having flat rectangular holes, into hot oil. Cassava Sweet Fries: This is a sweet snack food made out of cassava flour, maida, baking soda and oil. The ingredients are mixed well and made into dough with hot water (50°C). The dough after proofing for 1h is hand extruded through die having round holes, into hot oil. The fried product is then coated with sugar by dipping for a few minutes in sugar syrup having thick consistency. Cassava Nutrichips: This is a high protein snack food made out of cassava flour by mixing with other ingredients like maida, groundnut paste, egg, salt, sugar, sesame, coconut milk, baking soda and oil. After mixing the ingredients, hot water is added and mixed to form smooth dough. The dough after proofing is made into small balls which are then spread into sheets of 0.2cm thickness. This is then cut into dimon shape using a sharp knife and deep fried in oil. Cassava crisps: This is a soft and good textured crispy snack food made from cassava flour, maida, rice flour, bengal gram flour, salt, baking soda, turmeric powder and oil. The dough made with hot water is proofed for 1h and then extruded through the small pore size die having round holes. The deep fried material is mixed with fried nuts, curry leaves etc. before packing. Other products include: Cassava nutrichips (without egg), Cassava salty dimons, Cassava hot sticks, Cassava salty fries, Cassava sweet dimons etc. 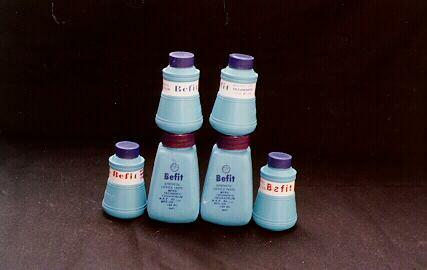 for which also formulations are available. Fried cassava chips presently available in the market are often too hard to bite and bear no comparison with potato chips. This leads to poor acceptability of the product and lower price. Research at ICAR-CTCRI has shown that excellent quality fried chips can be made from cassava tubers, by soaking the chips in acetic acid-brine solution for 1 h, parboiling for 5 min, surface drying and deep frying in oil. This facilitates in the removal of excess starch and sugars from the cassava slices, with the result that light yellow crispy chips can be obtained, having soft mouth feel and good texture. Cassava or tapioca (Manihot esculenta Crantz) is one of the important tuber crops valued for its high starch content (20-35%). Cassava rava is a pre-gelatinized granular product similar to wheat semolina and finds use as a breakfast recipe product. For the preparation of cassava rava, the tubers are peeled and sliced into round chips. It is then partially cooked by boiling in water for 5 min, decanting the steep water, sun-drying the parboiled pieces and powdering coarsely in a hammer mill. This is then sieved through fine sieve to separate out the finest fraction which can be converted to porridge powder by flavoring with cardamom and fried powdered cashew nuts. The residue is sieved through larger mesh size sieve to obtain rava. The uneven large pieces are again powdered to recover the rava. Sweet potato (Ipomoea batatas Lam.) is cultivated throughout the tropics and warm temperate regions of the world for its starchy roots, which can provide nutrition, besides energy. A number of novel food products with functional value are being developed worldwide. Sweet potato tubers with their low glycaemic index have additional value as a food for diabetics. 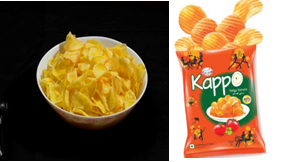 There are a range of primary food products that could be made from sweet potato like chips, flakes, frozen products, French fries, puree etc., while it is also the raw materials for a host of secondary products like noodles, sugar syrups, alcohol, pasta etc. Sweet potato based composite flours have been used in many countries for making small baked goods like cakes, cookies, biscuits, doughnuts etc. Sweet potatoes are consumed at home level, mainly after cooking, baking or converting into fried chips. The roots are often converted to canned or pureed form, to enhance the shelf life. Sweet potato based baby foods are preferred in many countries as the first solid food for infants. Canning of sweet potato is widely practised in the United States, to enhance the storage life and ensure round- the year availability of the product. Sweet potato roots are transformed into more stable edible products like fried chips, crisps, French fries etc. Sweet potato puree, is a primary processed product from the roots, which is used directly as a baby food or used for mixing various food items like patties, flakes, reconstituted chips etc. High quality puree can be made from white, cream or orange- fleshed sweet potatoes and also from tubers of any size or shape. Sweet potato has assumed great significance in recent years as a health food due to the various bioactive principles in it. It was found that high protein/fibre pasta could be made from sweet potato using protein sources like whey protein concentrate or defatted soy flour pr fibre sources like wheat bran or oat bran. Use of orange fleshed sweet potato variety, Sree Kanaka resulted in a dark orange coloured pasta which had low starch digestibility and high resistant starch content, besides high carotene content. Sweet potato roots can be termed as a ‘3-in-1’ product, as it integrates the qualities of cereals (high starch), fruits (high content of vitamins, pectins etc.) and vegetables (high content of vitamins, minerals etc.). The beneficial effects of these ingredients have been appropriately put to use by converting the roots into a number of intermediary food products like jam, jelly, soft drinks, pickles, sauce, candies etc.. The tuber crops snack foods were produced by extrusion cooking to develop direct expanded extradites. •	At present no cassava extruded products are available in the market. •	Extrusion of cassava gives a high expanded product with a bland taste. Cassava extrudates are totally oil free and hence has much dietetic value. •	Cassava flour is a cheap raw material at the cassava growing belts. The baked food products play a crucial role in Indian diet as they are partially substituting meals in the breakfast and dinners. Major product categories include biscuits, cookies, snacks, cakes, pastries and rusks and puffs, while few new product types like cupcakes, strudels, waffles and doughnuts are also added in the recent days.Gluten is a mixture of proteins found in wheat and related grains, which gives elasticity to dough and gives “spongy” texture to baked foods like pasta, bread, cookies, pizzas, etc. Despite improving the texture of baked goods, gluten is considered as a harmful ingredient as it interferes with the absorption of nutrients, and its consumption leads to Celiac disease. The current prevalence of Celiac disease in India is estimated as 1% and commonly found in north India where wheat is a staple food. A lifelong gluten free diet (maximum of 20 mg of gluten per kilogram of food) is the only treatment available to cure Celiac disease. At ICAR-CTCRI, gluten free cookies were prepared by replacing wheat flour up to 50% - 60% along with other ingredients like rice flour, tapioca flour, sweet potato flour, taro flour and sorghum flour. The cookies are available in various shapes and sensory quality is acceptable to the consumers.Gluten-free breads were prepared by substituting wheat with 50% sweet potato flour or 30% taro flour with acceptable sensory quality. Cassava starch based semi-synthetic superabsorbent polymers (SAP) with high water absorbency (maximum of 450-500 g/g) were developed by graft copolymerization of acrylamide onto starch and the subsequent alkali saponification. These SAPs exhibited slow absorption and gradual release of water (in 2hours) and is suitable to be used as a soil conditioner for soil moisture retention. RS enriched low glycemic cassava and sweet potato starches were developed by chemical and physical modification techniques. Being less accessible to digestive enzymes, these can be used as functional food ingredients. Process for the extraction and purification of anthocyanins from purple fleshed sweet potato and greater yam tubers, and encapsulation of the pigment with maltodextrins by spray drying technology. The encapsulated pigments with improved storage stability can be used as a safe and stable natural colourant with added advantage of antioxidant potential. 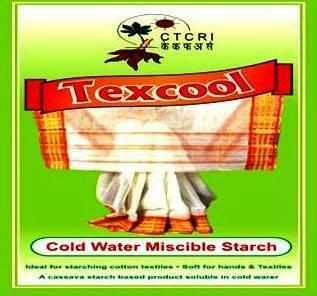 The cold water miscible starch finds application in textile industries, for home use in starching the clothes and also for preparing some specialty foods. It is produced using alcohol / alkali and precipitation by alcohol. It is easily and completely soluble in cold water having good and stable viscosity. The product is pure white in colour, quite viscous and possesses excellent tack. It can be easily applied as it is free flowing. It can be used to paste different surfaces like ceramic-ceramic, wood-wood, glass-wood, cardboard-cardboard etc. The pasted materials possess good moisture resistance, but if dipped in water, they tend to separate. It can be used as an adhesive in various applications. Superabsorbent polymers were developed from cassava starch by graft copolymerization method. These have very high water absorption capacity, cold viscosity and thermal stability and find use for oil drilling, textile sizing and textile printing applications. Superporous hydrogels with high ability to absorb aqueous fluids up to a few hundred times their own weight were developed from cassava starch. They find applications in pharmaceutical and biomedical industries for gastric retention, oral delivery systems for peptides and proteins, as a platform to house a drug delivery systems (DDS) etc.